Barclays Bank to Banco Sabadell! I found out this topic after the issue with my transfer that obviously never existed before with barclays it took just 1-2 days at max. I have requested money to a thai bank account entitled on me on 30 april. On Darwinex side they said and sent me a receipt that the money has been sent. Since now have passed already 6 working days and no trace of the money in my bank. Before any of you start to say the delays it's normal cause it's a overseas transfer, let me stop you there, cause i've already requested over 20 transfer during the past two years through the same bank with barclays and always arrived the day after super fast. I'm reading here about somebody with my same situation and i would like to know if any of you got the money on international transfer. Thanks. Hope this situation will solve soon. I wish things were same as before even probably is not directly darwinex fault about this matter but it's a bank matter nevertheless it's getting frustrating. I'm trying to get clarification from darwinex but i still didn't get any. Hope they'll clear the issue. Anyway please contact me if some of you had the same issue and let me know if you received the money and after how long. Really appreciated. The European Central Bank has fined Spain's Banco Sabadell 1.6 million euros (1.4 million pounds) for buying back some of its capital without the ECB's permission, the ECB said on Tuesday. .... and I think they might be great for Spanish transfers, maybe for European ones with SEPA but not for international clients. Is Darwinex still looking for a second bank for the client's segregated accounts? I am sorry that you got to suffer this delay. The measures that lead to these delays have been very recently implemented, so it is normal that you got quick transfers in the past and not now. As you see from previous comments here and what my colleagues have told you, your funds are under way and you will receive them. Unfortunately, there is nothing we can do to accelerate this transfer. My colleagues will give you more information about your transfer. so it is normal that you got quick transfers in the past and not now. Do you mean that times would be the same now with Barclays ? What kind of measures do you mean? And you didn’t answer my question for additional alternatives. Unfortunately, I don't have enough information to reply to those questions precisely. I have been mentioned they are Compliance measures applied mostly and not every transfer is being affected, but I don't have more information. As far as I know, intermediary banks are doing thoroughful comprobations and this is affecting some of our users. I want to state clear that every transaction is reaching it's owner. Also, we are working together with banks in order to find ways to avoid this situation for our users. It's a purely commercial decision. Since the "official" reason for Barclays' move to Sabadel would be purely commercial, which I personally doubt, it is clear that this decision was a huge mistake to the detriment of Darwinex's customers. Image and credibility damage coupled with a huge drop in the quality of services, if really it is the result of a choice and not an obligation, the author of this choice carries a heavy responsibility. I don't know what to believe sincerly, Thanks to Darwinex that they gave me at least an mt103 trace but the answer that they gave me that i have to "try to chase up" my wire transfer from my end banking, after paid 17 euro fees for the transfer....felt really disappointed and unprofessional...never faced such problem before and i used and transfered money world wide for many services. This bank seems a joke and a shady one. Money has to pass from UK branch to the Spanish one and after that they start sending money with some intermediary in between. This demonstrate that such bank it's a mickey mouse bank. Say whatever you want but this is super unprofessional. I have paid a lot fee for this wire and they are not even capable to send it and it's a bank not a dressing shop! I will keep waiting and/or TRY TO CHASE this transfer on my behalf! I don't know i have to laugh or cry on this. I have requested another withdrawal this time in a german bank. Let's see if i'm going to face the same issues. In a way or another i will not feel safe till i see the accredit on my thai bank account for the past withdrawal. I'm trying to stay calm but i'm sorry there are NO excuses on this matter. I do not care the reason why Darwinex have changed bank and doesn't concern me as well when they keep saying mere excuses that is normal to have this kind of issues cause they moved in a new bank. I'm sorry but this is a big bull***** we are talking about a BANK and what a bank does if not transfer money? So me as a client i have to understand that since you have changed bank i have to accept all the issues you are having? Why you didn't proceed with some test transfer before to MOVE all the clients pool and facing this mass issue now? What concern me is that i'm entitled to receive my money in time after paid even a conspicuous 17 euro fee on the transfer which is still on hold or missing i do not really know the truth. You keep saying that you making changing for bring a better service but this changes are demaging reputation which i had pretty much in consideration for this broker before. And don't think i'm a third country citizen customer that i may be treated as last of the problem. I'm an European citizen so this matter concern most of the people that are in the same situation as mine. Said that i hope to see the transfer arriving as soon as possible WITHOUT ANY MORE EXCUSES. and i don't have to chase anything on my behalf! It's your duty to send this damned transfer in time or refund clients. Please, avoid "what if" questions as they are not very constructive. Let me decide what is constructive. A forum is also an area of freedom, where critical opinions must be respected. In my opinion, and the facts are there to support it, is that this change of bank and the conditions in which it intervened is an unglamorous aspect of Darwinex's history. To deny absolute evidence is ridiculous. But again, I remain convinced that this is a situation suffered by Darwinex. To leave voluntarily Barclays for Sabadel is an insult to my intelligence, but especially to the talent of the management. For me it is very likely that you got fired by Barclays because it is by far the most rational explanation. And if Darwinex had the transparency to say "Barclays begged us to leave, we had to find a backup solution," I assure you that I would have had a very constructive attitude. ere is definitely room for improvement in terms of communication, that is for sure. Since @ignacio recognized a bug in communication, we will not do the story again. But I refute your criticism on my lack of constructivity. The original sin in this case is the lack of transparency of Darwinex. 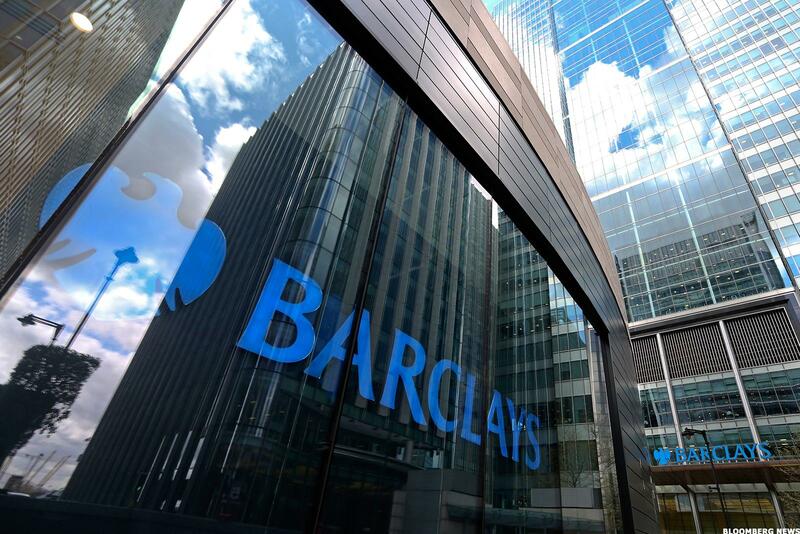 Barclays is preparing to tell 7,000 clients to do more trading with the firm or find another bank, the latest move in an industry-wide trend of winnowing down customer lists to the ones that produce significant profits. Barclays’s decision to stand up to the U.S. Justice Department over accusations that it improperly sold mortgage bonds has paid off. Sabadell is a bigger bank in Spain, otherwise ECB wouldn’t take care about them. i've made a test with my German account requesting money yesterday and already received the accredit today. so around 1 working day but still not sign of my int transfer, i'll keep you updated. In the meanwhile i've asked to my thai bank to investigate on their end where could possibly is my transfer and try to accredit that as well. So as it seems it's only for international transfer the issues. I'm setting up a transferwise account and i'll do international transfer through this method next time for any purpose. No sign of the int. transfer, hoping it will arrives in few days. In case it will not arrives i'm asking solution from darwinex to get a refunds on the platform or to send them via SEPA transfer. Let's see. Today it's 9 working days that i'm waiting. Sabadell London is the daughter of the big Spanish Sabadell, but not the same company. Usually the London branch has own IT systems and only interfaces to the big mother. As we don’t know the reason for the delay, it is hardly possible to think about improvements. Maybe it’s faster to wire to an account of Sabadell Spain which belongs to Sabadell London and they put the money via interface on the segregated clients accounts in London than to wire directly ( via intermediate banks) to London, but I don’t know. I would also like to read here where it worked fine, otherwise we see here a very negative picture. otherwise we see here a very negative picture. This never happens on forums. Satisfied customers don't write, it is too tiring. For 99% of user the first post is a request/complaint. In one of the Spanish telegram groups I asked for good experiences with the new bank. I got one positive comment from an Argentinian customer stating a recent wire transfer was faster and cheaper. Horrible horrible and horrible experience. I waited two weeks for the international transfer FOR THEIR MISTAKE! i withdraw 500€ and i got 445€ over 50€ of expenses!! HORRIBLE EXCHANGE RATE AND HORRIBLE FEES. This is call robbing! And now please try to find another of your useless excuses instead to refund than using words! The point is they try to be super strict with the regulation speaking and rules but only when it's on their on advantages. Finally i was able to take off everything from here. I will never step my feet here again. AH and please keep saying that you are bringing changes for a "BETTER" service. this is your better service? from 0 to 17 euro for request a wire transfer with a bank than call it bank it's a shame for other banks. This bank will rob your money in commissions and in exchange, beware! Well Done Darwinex. Thanks for the feedback, @neoxis, I will have this looked into. Our experience is being good so far, but there are specific cases where transfers to specific non EU countries are not working as well as we expected. We are working on alternatives, stay tuned!